Be the original. The one who sings, dances, laughs, dresses flamboyantly, and stays colorful…only you can sing your own tune, and that is why you are such a perfect match for this market. Lots of spring plants on the market this week! 45 listings to be exact. Love this time of year! We are opening for ordering in the online market this week (for distribution next wednesday). We have limited variety through the end of April, but we’ll pick up in earnest starting the first week of May. This is a good time to set up a prepaid account, or order a few spring items to try the market out. 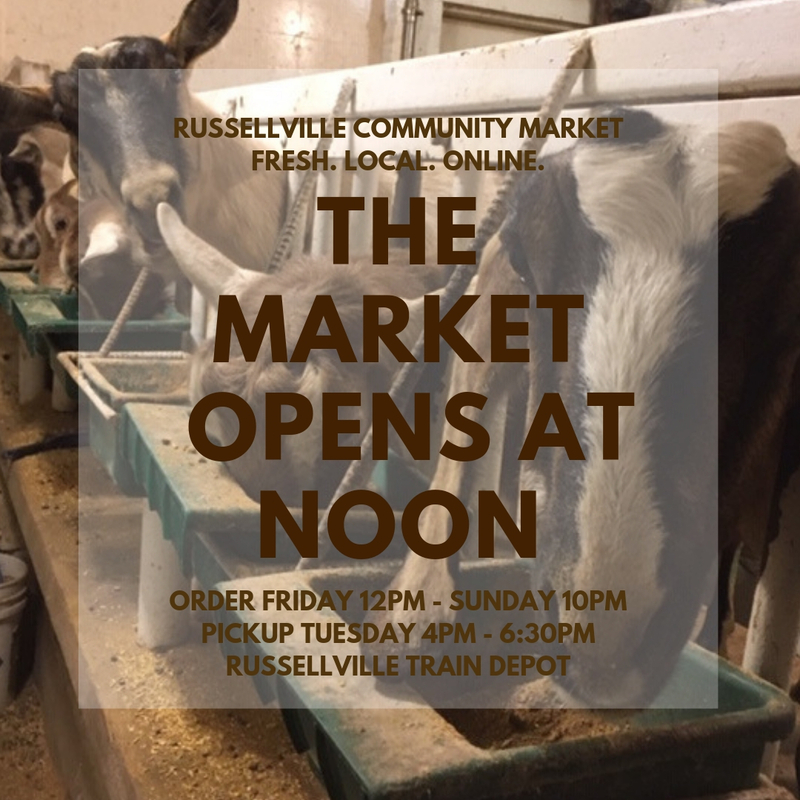 The Market Opens at Noon! We have blueberry scones, a variety bouquet of jonquils, daffodils, and narcissus, Retro Roast Coffee, free range eggs, fajita beef, kale, beeswax lotion bars, dog treats, and tons of other goodies on the market this week. Miami County Locally Grown: More deals, specials, and a boost for the food pantry! We were surprised how well the Buehler’s donations of lard went over at the Food Pantry! But they have so many clients who know the benefit of this old fashioned gem, whether for biscuits, pastries, greasing your pans, frying, or more! Now Phil has a new deal to offer… When you purchase his Special on two containers of lard, one goes to you, and one goes to the Food Pantry! All you have to do is cover the processing costs for the second container that will be donated to the Food Pantry, and Phil donates the lard! Independence,VA: Market is OPEN for April 17th pickup! It’s time to place your Online Market order! Our extras table is starting to fill up again on Wednesdays and the freezer is packed with a variety of meats from our vendors. If you forget to place an order, feel free to stop by the Grayson Landcare office from 4-6 pm on Wednesdays to see what we have to offer! To Shop: Independence Farmers Market. Join us for the opening of the 2019 Market Season in Town Park on Friday, May 10th from 9 am- 1 pm! We’ve invited area artisans to join us Opening Day so you can find a perfect gift for Mother’s Day. Join us Sunday, May 26th from 2- 5 pm for Farm Day at Wagon Wheel Farm, 1132 Gold Hill Rd, Independence VA for an afternoon of hands-on activities. See and try out some of the best market garden tools. If you’ve taken our “Grow More Vegetables” class, you’ll see those spacings and planting ideas in the ground and growing! Tour the greenhouse, high tunnel and field. Free kids activities. Rain date is Sunday June 2, same time and place. Thank you for supporting the Independence Farmers Market! Foothills Market is open today until 5:00 p.m. for your shopping convenience. Place your order and we’ll have it ready for you tomorrow! Spring time is upon us again. The planting of vegatabels and flowers is in full speed as we work to provide an aboundance of fresh new products. Please feel free to make your selections from the great products available this week.